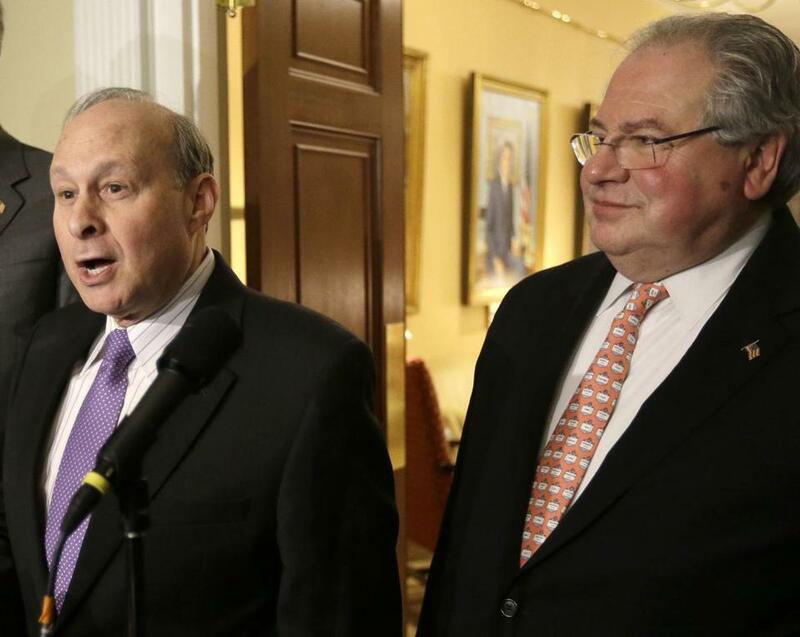 Senate President Stanley Rosenberg and House Speaker Robert DeLeo. As the first order of business in 2017, Massachusetts lawmakers voted themselves a very healthy pay raise. Looking out from their Beacon Hill bubble, they are confident the national distraction known as President Trump will keep the press off their case and public outrage to a minimum. With that, they underestimate the trickle-down anger of the November election. A little over one million people in Massachusetts voted for Trump. The nearly two million who didn’t still have reason to despise the arrogance that fueled this pay hike. The compensation package, which includes raises for state officeholders and judges, totals $18 million. No effort was made to explain the rationale for doing it now. No comparative data with other state legislatures was put forward. For example, according to data from Ballotpedia, salaries range from over $100,000 for California lawmakers to $200 per two year term for those in New Hampshire. Lawmakers in New Mexico earn only a $163 per diem. It had been an exhausting three weeks for King Robert the Conniver. This package flew through Beacon Hill without a single public hearing. Governor Charlie Baker vetoed the measure with a wink and the knowledge that Democrats had the votes to override him — which they did, 116-43 in the House and 31-9 in the Senate. Attuned to the optics, Baker said he won’t take the raise; neither will Lieutenant Governor Karen Polito. Attorney General Maura Healey and state Treasurer Deb Goldberg — both Democrats — are also turning it down. But the legislative leaders who engineered the pay heist have no concerns about cashing in on it. In Massachusetts, the legislative base salary before the pay hike was $62,547, plus stipends capped at $15,000 for a leadership position. The legislation dramatically increases stipends, eliminates any cap, and allows lawmakers to be compensated for more than one leadership position. The raises will hike some salaries as much as 45 percent. Senate President Stanley Rosenberg said the pay increase is necessary because lawmakers with young families can’t live on the current salary. Arguing that there’s never a good time for a pay hike, House Speaker Robert DeLeo said now is as good a time as any. 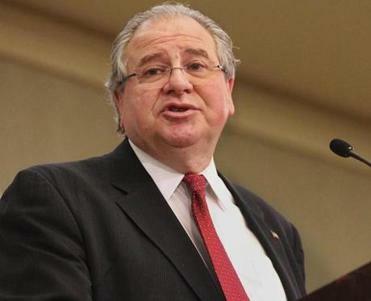 DeLeo’s salary and that of Rosenberg will increase by $45,000 to $142,000 under the new law. “Congratulations taxpayers, you now have the highest-paid House speaker and Senate president of any state legislature in the nation,” said Chip Ford, executive director of Citizens for Limited Taxation. How do legislative salaries compare with those of their constituents? When the US Census Bureau released figures in 2015, the median household income in Massachusetts was $67,846, and it has risen since then. But there’s a vast range in earnings across the state, with some municipalities far below that. Besides, matching private-sector salaries is not supposed to be the goal of those in public service. Even some Democrats acknowledge the process looks bad.“I think it was the wrong time to do this and the wrong way to do this, and there may be repercussions for the Massachusetts Legislature that they weren’t anticipating down the road,” Doug Rubin, a Democratic consultant and former chief of staff to Governor Deval Patrick, told Boston Herald Radio. Incumbent lawmakers in Massachusetts, especially Democrats, rarely pay at the ballot box. Meanwhile, Republicans in the Legislature, who voted against the pay raise, along with a small number of Democrats who joined them, will take the salary increase along with everyone else. So what repercussions might they face? When the state cuts health programs for the poor. When there isn’t enough money to raise reimbursement rates for in-home nursing care for the disabled. When lawmakers start talking about the need for more revenue. When they say they need more time to work out the details of the marijuana legalization law. When that happens, the public will look back at this pay raise and remember, once again, what they hate: how easy it is to jam through a law that, first, benefits lawmakers.